Description: "Getting away with murder...Newly sober Frank Harper is solving cold cases left and right, finally impressing his boss. But Frank's unhappy--he misses the excitement of active police work. 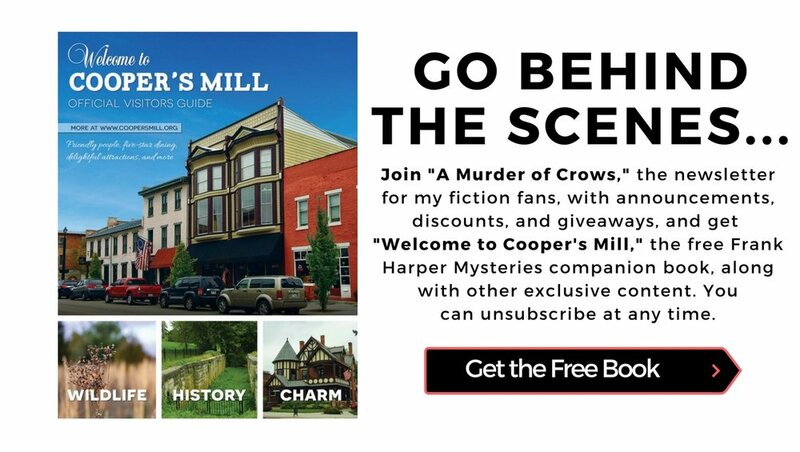 Meanwhile, in Cooper's Mill, the sleepy Ohio town where Frank's daughter and grandson live, things are heating up. Local man Joe Hathaway is about to stand trial for three counts of attempted murder, and Frank's been called in to testify. Joe's confident he'll win. But, just in case, he's got a plan--one that will finally bring Frank Harper to his knees..."
Details: Fiction, published by Gypsy Publications, May 2018. Paperback: 272 pages, ISBN 978-1938768798, $14.99. 4.7 out of 5 stars on 29 reviews (as of 2/17/19).